Tiger Woods roared into contention for his first win in nearly five years but Rory McIlroy insisted he won't hit the panic button after missing the cut in the Valspar Championship in Tampa. As a Lazarus-like Woods carded an impressive, three-under 68 to share second place on four-under-par, two shots behind unheralded Canadian Corey Conners, McIlroy struggled to a two-over 73 to miss the three-over cut by two shots. "It's early in the season," McIlroy said, dismissing any concern as the Masters looms. "It's a long year. I've shown signs of good play this year already, and I just need to see a couple of good scores, and I think that will maybe give me a little boost going forward." After two top-three finishes in the Middle East at the start of the season, McIlroy's form line now reads — MC-T20-T59-MC — which leaves him seeking form in the week's Arnold Palmer Invitational at Bay Hill and the WGC-Dell Technologies Match Play in Austin. Fortunately, his coach Michael Bannon is staying on in Florida for a few more days. "We had a bit of a debrief last night after the round and sort of feel like we're getting somewhere and had a good chat and worked for about a half hour before going out there today," he said. "I felt a little bit better. Another few days work before heading up to Orlando." His frustration contrasted sharply with Woods' cool as the 14-time major winner (42) thrilled the thousands who packed the Copperhead Course at Innisbrook Resort. "I saw this three months ago," said McIlroy, who predicted that Woods was ready to "stun the world again" in 2018 after playing him late last year. "He's playing great. He's the Tiger of old in terms of the recoveries and the nearly breaks his hand off a tree and all that sort of stuff. His short game is incredible. "He's hitting the ball much better than he did the first couple of starts of the season. "I'd love to be here for the weekend to be in contention, but I'll be an interested observer watching TV over the weekend to see how it unfolds." 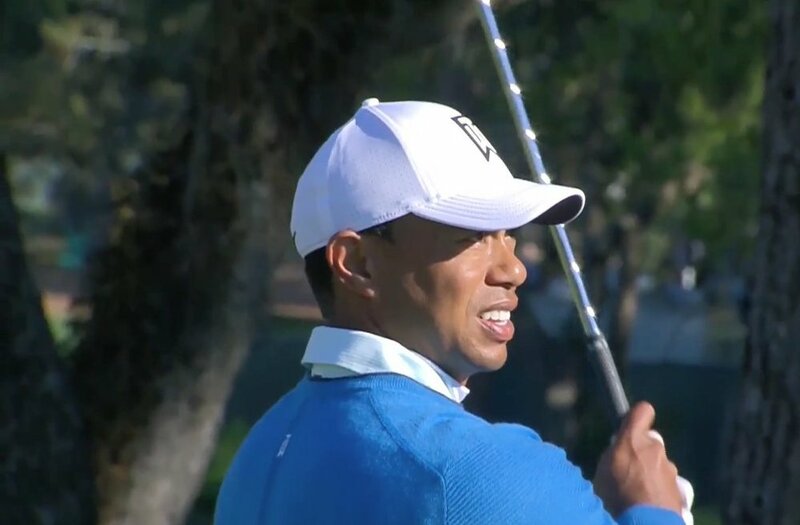 Miss any of Tiger's second round at @ValsparChamp? He might not have won a tournament since he captured his 79th PGA Tour title in the WGC-Bridgestone Invitational in Akron in 2013 but Woods was hugely encouraged by his second round. "I feel good," said Woods, who birdied at the 12th, 13th, second and fifth before short-siding himself at the ninth for his lone bogey of the day. "I feel like I was playing well at Honda. It was just a matter of cleaning up a few things here and there." It's a remarkable story considering he was unsure last September if he would ever play again, telling reporters at the Presidents Cup, "I don't know what my future holds for me." He's tied for second with Paul Casey, Brandt Snedeker, Ryan Palmer and Kelly Kraft, just two shots behind Web.com Tour graduate Conners (26), who only got into the field from the reserve list after failing to Monday qualify, shot a two-under 69 to lead on six-under par. "Got a long way to go, 36 holes," Woods said after his morning heroics. "I'm up there. I don't think this will be leading but at least I'm there with a chance going into the weekend. Today was a good day." It was also a good day for Shane Lowry, whose 70 leaves him tied for 20th on one under and on track for the solo-15th place finish he needs to qualify for the WGC-Dell Technologies Championship in a fortnight. But it was a frustrating one for McIlroy, who had two three-putts and 32 putts in all as he followed a birdied the par-five first with bogeys at the second, seventh, ninth and 10th to slip to six-over. While he did birdie the par-five 11th and 14th to get back to four-over, he bogeyed the par-three 15th, missing a six-footer for par to finish the day alongside the struggling Open champion Jordan Spieth on five-over. "Iron play, timing," McIlroy said of his problems. "I birdied 14 to get back to plus four and needed to birdie one of the last four to make the cut and then I hit an eight-iron that's 25 yards right of the target [on 15]. He added: "Definitely a bit of technical stuff in there that I need to address but the timing thing -- I think if I fix the technical thing the timing will come back with it, just where the club is at the top it's having to travel a greater distance to get back to the ball. "It's hard to time that when you're not sort of having to use your hands more than you should. Work on that a little bit and hopefully that will be good by next Thursday." McIlroy could console himself with the knowledge that having played three of the most demanding courses on the PGA Tour circuit - Riviera, PGA National and Copperhead - all his weakness have now been exposed and he has time to put them right. "Tough couple of weeks with Honda and then here, two tough courses," he said. "You shoot anything under par and you've done pretty well. "So, again, it's very -- it's fine margins on golf courses like this and I was just on the wrong side of those margins the last couple weeks." The wisdom of playing eight events before the Masters will be judged by his performance at Augusta National. But he's certainly lost confidence on the greens since his battles with the poa annua on the west coast and adding another new venue this week — a course where power is not a major factor — did not help. McIlroy needs a good week at Bay Hill (he's finished T11, T27, T4 in his first three starts there) to get his confidence up and the round robin system that is used for the World Golf Championship in Austin will also help him. "Even if I lose matches I'd still be happy if I saw good golf," he said. "Obviously I want to win in match play. I feel like I've got a good record. I like that format of the game. But I need to just go home for the weekend, work on my game and come back at Bay Hill and hopefully, I see some improvements there." Graeme McDowell needs a break and got one when he made a six0footer for par at his final hole that turned out to be to make cut on the mark after a 72. But Pádraig Harrington, his iron play well below par compared to his putting, missed by four after 73 left him on seven-over with Seamus Power a shot further back after a 74. 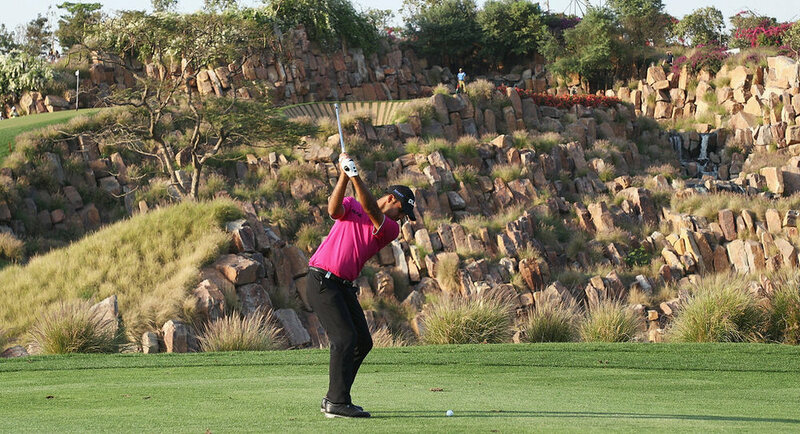 In the European Tour's Hero Indian Open, home hero Shubhankar Sharma blasted a course record 64 to move up to second as Argentina's Emiliano Grillo shot 68 to lead by four strokes on seven-under-par. After clinching a Masters invitation last week, the 21-year-old was five-over par after just nine holes of his opening round but played his next 27 holes in 12-under par as Darren Clarke shot 73 to make the cut on one-over. At Sharjah Senior Golf Masters, overnight leader Clark Dennis shot a four-under 68 and Thailand's Thaworn Wiratchant a 65 to lead by two shots on 11-under par with Headfort's Brendan McGovern tied 11th on two-under after a 70. In amateur golf, Europe leads Asia-Pacific 11-9 heading into the final day singles in the biennial Bonallack Trophy at Doha Golf Club in Qatar. Tramore's Robin Dawson will lead off for Europe after earning a half with Marc Hammer in the morning fourballs and a two-hole foursomes win with the German in the afternoon. In the Patsy Hankins Trophy, Asia-Pacific takes an unassailable 16.5-3.5 lead into the singles with Lisburn's Paula Grant looking to bounce back from three defeats over the first two days alongside England's Isobel Wardle. Tiger Woods reckons that Rory McIlroy has the talent and the composure to become World No 1. But the American hopes that it doesn’t happen while he’s still playing and called on the golf world to give the teenage time to mature and develop his incredible talents. Tiger Woods drives away from Doral after withdrawing with an Achilles injury. When he will return remains a mystery.Rory McIlroy sent get well wishes to Tiger Woods last night after the 14-time major winner dramatically limped out of the WGC-Cadillac Championship citing a recurrence of a left Achilles injury. Woods hobbled off after hitting a 321-yard tee shot on the 12th and was ferried straight to his black Mercedes before driving away, leaving a series of unanswered questions about his immediate and long term future in his wake just three weeks before the first major of the season.